Hygrotech is one of the top 3 vegetable seed companies in South Africa and sells its seed all over Southern and Eastern Africa. It sells value packs of OPV vegetable seeds for 9,25 Rand specially designed for smallholder farmers. It has 15 one-stop-shops in South Africa where it sells seeds, fertilisers, crop protection and planting materials. 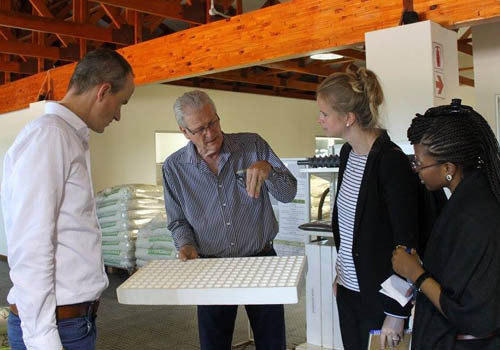 CEO Habé Roode showed us around in the shop next to its headquarters in Pretoria. See the full photo report on Facebook.